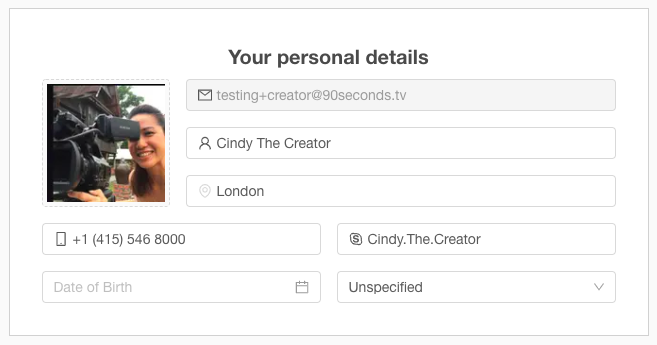 Fill in your Name, Email, Skype, DOB, Phone, Location and upload an Avatar of your face. The About Yourself section is one of the most important sections of your application. Include your professional background, your working experiences, names of clients and industry verticals that you serve, and anything else that supports the Skills you are applying for. Look at an example of a great About Me here. 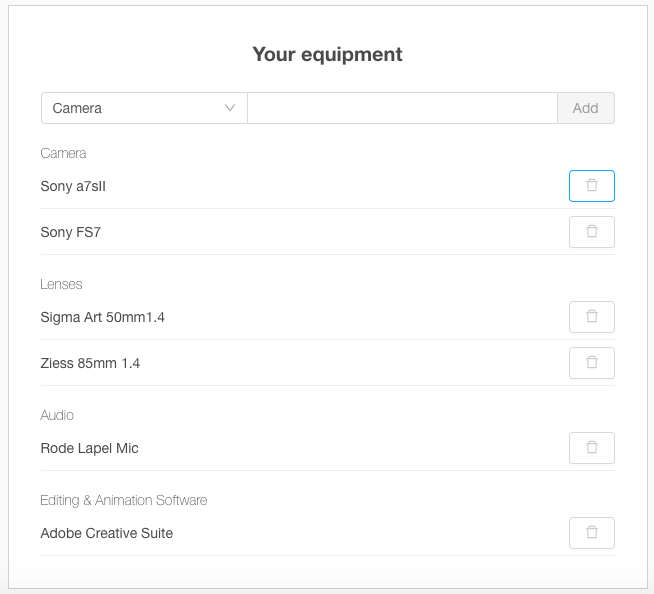 List the gear you use in the Gear section, including specific make/model of Camera, Audio, Software, Lighting, and Specialty/ support equipment. 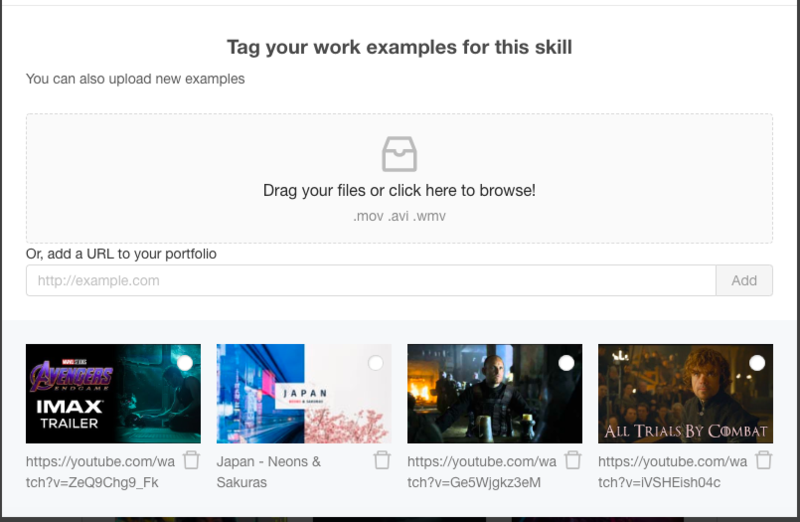 Add a direct link to a work example of yours for each skill that you are applying for. Add your company or personal website as well. 5. What Skills Do You Want to Be Hired For? 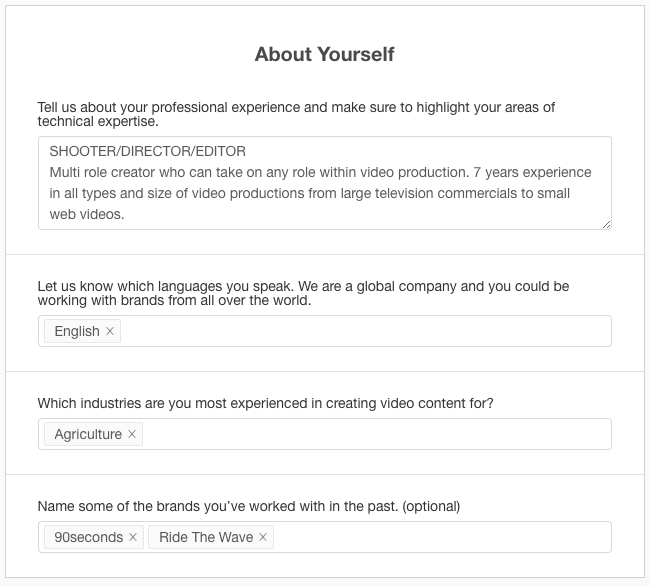 Select the Skills you would like to be hired for. Remember, you must provide a work example for any skill that you apply for. 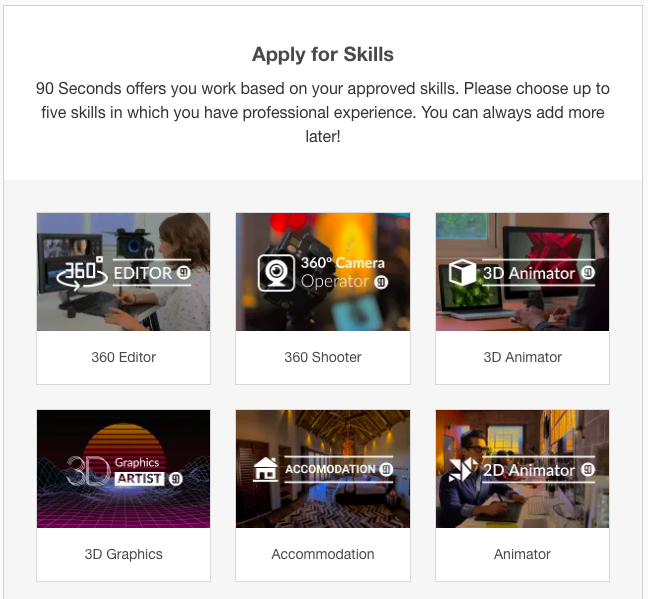 We recommend that you apply for no more than 5 Skills. Select your Service Quality Level and Job Sizes for each skill that you apply for. 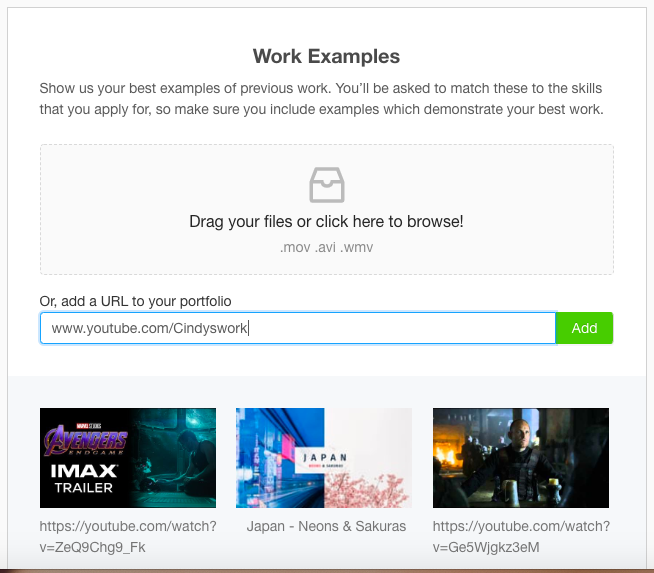 This determines what types of projects you will be offered. 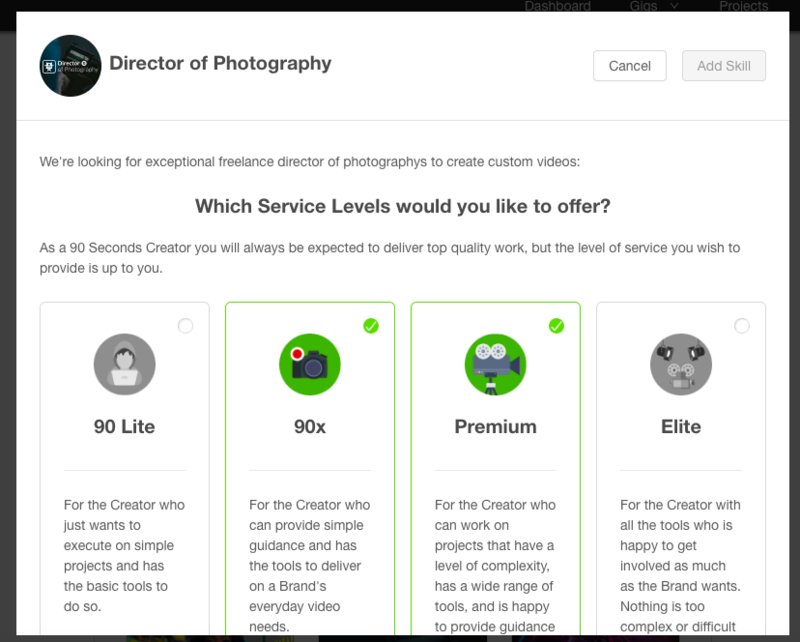 Please select the most appropriate level based on the services that you are willing and able to provide. 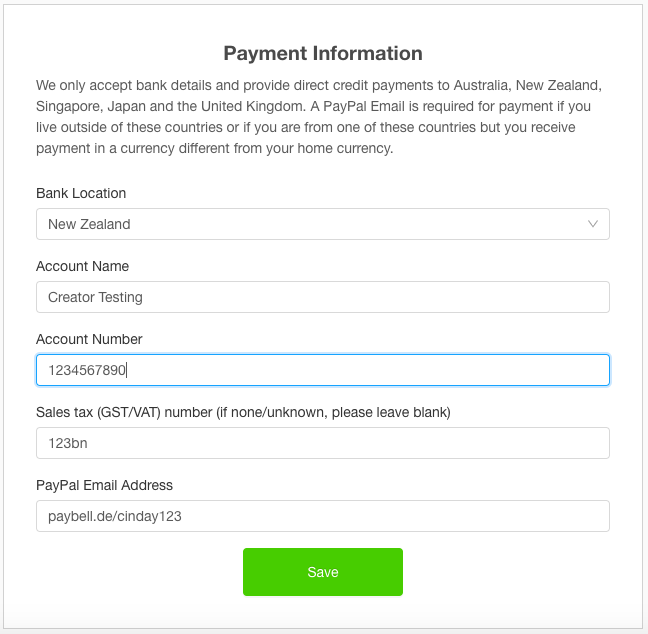 Fill in your bank account information and add your Paypal email. Choose a date and time for your Activation call. Make sure you receive a confirmation email. The email will have a Zoom web conference link that will take you to your meeting with a Creator Success Manager. You are now ready for your activation call! You can prepare for the call by reviewing the Activation Call Agenda.